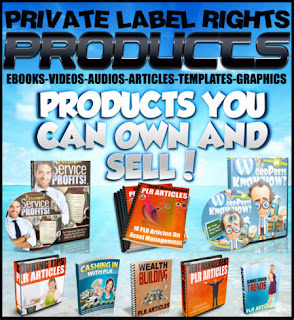 SELL PLR PRODUCTS AS YOUR OWN - EASY PROFIT! 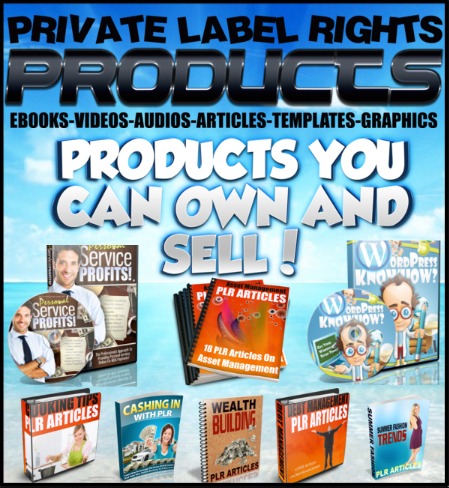 PLR is the short form of Private Label Rights. It’s a license offered by any product creator, if purchased it gives you all the rights to do anything with the product you just purchased. With PLR license in your hand you can claim the purchased product as your own, put your name on it as a creator, change words, graphics, break in into multiple parts and so on. In short you can do whatever you want to do with the product. Most importantly, PLR allows you to resell the product at any price you want. It provides great return on investment as you only need to invest once while buying the product and its PLR license. You can then sell the product as many times you want and keep the whole profits without any need to share them with the original creator. For example, let’s say you invested $50 for buying an eBook and its PLR license. You sold 200 copies of that eBook at the price of $70 then your pure profit will be $1400 - $50 = $1350. Therefore PLR provides a great opportunity for someone who wants to make money quickly without investing the time required for creating a good product. Where to buy products with PLR license? 1. Offer paid membership courses - Break your product into multiple logical parts and load them into an autoresponder. Offer paid membership and charge around $15 to $30 per month. When someone joins your membership your autoresponder will automatically send them to your subscribers on weekly or monthly basis. 2. Create your own product - You can assimilate multiple PLR’s and create a new product on your own. You can make handsome money from selling your product. 3. Build your email list - Offer any PLR eBook or report as a lead magnet to your visitors in exchange for their email. Once you have a decent size email list you can then promote affiliate offers to your subscribers and earn big commissions. 4. Create a blog - You can divide PLR products into multiple parts and create articles from them. You can use these articles to grow your blog and and earn money from ads and affiliate product promotion.